Everything Old is New Again — Anna Akbari, Ph.D.
Mr. Huxley’s quote could easily be changed to replace the word “history” with the word “fashion,” and the meaning would be equally apt. Fashion and design love to visit the past and bring something good back. Sometimes they also bring something bad back (polyester comes to mind). The drop waist can be seen here and there in contemporary fashion, mostly as an ironic nod to the 1980’s trend. 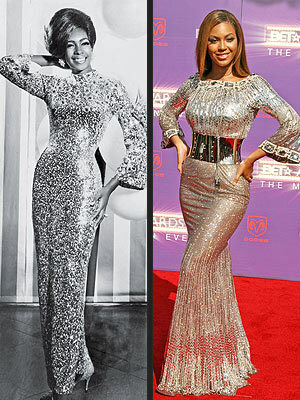 But then, the 80’s trend was a redux of the 1960’s trend, and that one recalled the 1920’s dropped waistline. It’s not news that fashion recycles, But, when we look a little deeper we might find that at the source of these collective style choices is a cultural nostalgia. And perhaps this nostalgia is, itself, based on our subconscious relationships to what those styles represent to us. Branding experts will tell you that consumers have an unconscious psychological association to every item in the marketplace (even items as seemingly mundane as laundry detergent). For example, in America, we relate to our cars not as vehicles, but as icons of freedom and individuality. Of course this extends to the fashions we wear and the styles we respond to. Last year we saw racks of Maxi-dresses and pencil skirts reminiscent of different style caches of the 1960s. Every contemporary furniture store from East to West stocks the clean lines of mid-century modern furniture as well as bold, bright psychedelic patterns. Are these stylistic nods in the direction of free love and hipster aesthetics brought on by a widespread love of Mad Men? Perhaps. But maybe it’s the other way around. Perhaps we can’t stop watching Mad Men and and emulating the styles of its era because subconsciously we relate to the circumstances they represent. So, hang onto your vintage statement pieces. You never know when a seminal historic event or the cultural mood will inspire you to wear something that may have felt dated before. That something may just be the perfect “modern” accent down the road. Mix your vintage pieces with thoroughly modern looks. Your skinny jeans will look great with that pair of leopard pumps you inherited from your mother. When in doubt, check out a vintage inspired fashion blog. Try a vintage flair with your hair! Whether you have a 1930’s finger-wave or a 1980’s mullet, a revamped ‘do will make you look like a fashion original. 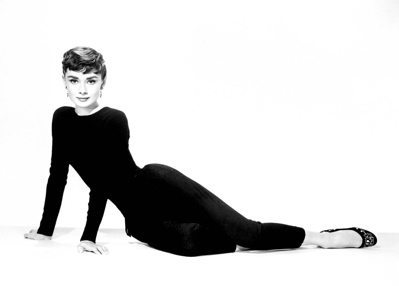 Time Magazine listed the top-ten most iconic hairstyles. See which one fits you best.